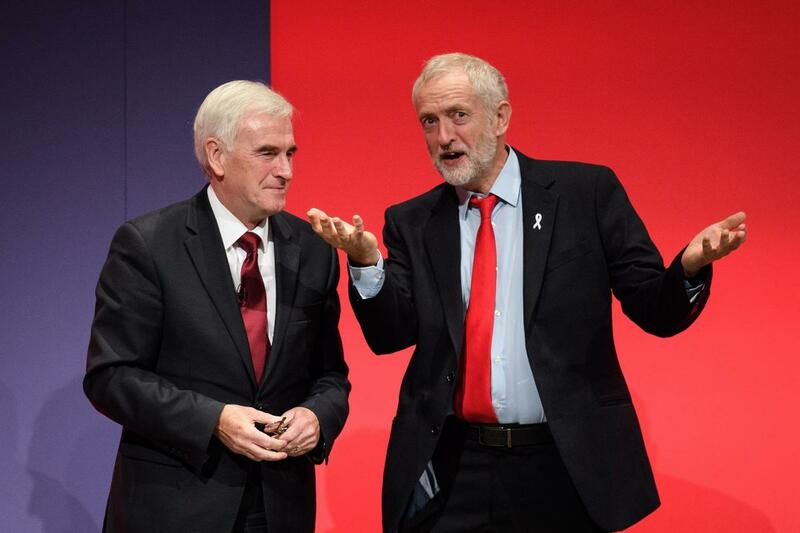 Mr McDonnell, the Shadow Chancellor of the Exchequer told talkRADIO’s Political Editor Ross Kempsell: “We are respecting the original referendum that is what has come out of the discussions. “We then want to press for a General Election and then if we don’t get a General Election, then yes we will push for a People’s Vote. “All options will remain on the table. “The main debate is around whether the deal Theresa May brings back is acceptable. “I don’t think it will be and that is why we want a General Election. Mr Mcdonnell added that he believed Labour could get a “new relationship with Europe that protects jobs”. He said: “That would be a vote on the deal but we are keeping all options on the table. “The People’s Vote only if we can’t get a General Election. “What we need to do now is bring about a General Election and unite on that basis. “On that basis, we believe we can get a new relationship with Europe that protects jobs and the economy. He added: “Jeremy and I work together. There are none because we have worked together for over 35 years. “He will be the leader as we go into the next election. “We will win the next election and he will serve a number of terms.